Science has been telling us for years to get plenty of rest. It’s so important that May has even been deemed Better Sleep Month in an attempt to emphasize the role that sleep plays in leading a healthy and productive life. You’ve likely heard the old standard of 8 hours per night as an ideal evening’s rest. But what if you are one of millions who always seem groggy no matter how much sleep you get? If this is the case, there is a possibility that a sleep disorder such as sleep apnea is involved. Sleep apnea affects 1 in 5 Americans and can not only wreak havoc on your sleep but can be a health hazard as well. Patients who suffer from this condition repeatedly stop and start breathing throughout the night. The root cause of sleep apnea can vary, and will determine exactly which of the three types of sleep apnea that you have. The symptoms of sleep apnea can be difficult to distinguish, particularly if you do not share a bed with another person who may notice if you briefly stop breathing. However, as innocent as they may seem on their own, there are other symptoms that can signal a problem and indicate that you should investigate further. 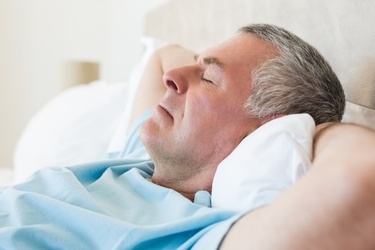 In addition to these symptoms, you should be aware of any factors that you put you at higher risk of developing sleep apnea. These may include being overweight, using tobacco, alcohol or sedatives, or having a family history of the condition. Sleep apnea can pose some serious health risks and should be diagnosed and treated accordingly. If left untreated, complications such as high blood pressure, type 2 diabetes, and liver problems may manifest. Additionally, those with sleep apnea may experience complications from medications or during surgery. In order to diagnose your condition, you’ll need to undergo a sleep study such as those provided at Lane’s Sleep Study Center. Here, you will be hooked up to monitors to give physicians a complete look at your body and brain function during sleep. Your heartrate, breathing, brain activity, and blood oxygen levels will all be monitored. If a positive diagnosis of sleep apnea is made, the type and severity will dictate treatment options. In some cases, lifestyle changes such as losing weight or quitting smoking may be enough. For others, a special machine known as a continuous positive airway pressure (CPAP) may be prescribed for nightly use. In more severe cases and those in which other treatment options have failed, surgery may be required. Or call us at (225) 767-8550 to set up an evaluation with our clinical staff.